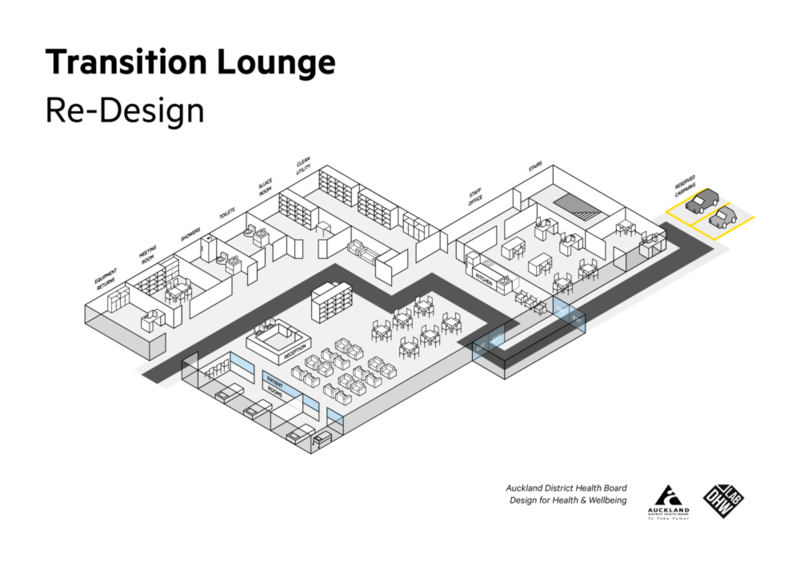 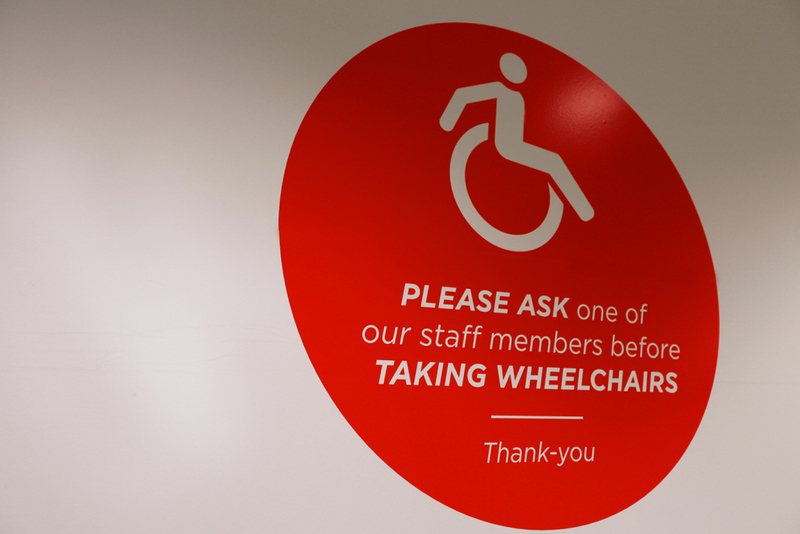 As part of my work for the DHW Lab located at Auckland City Hospital, we began installing a new set of signage designs for the Transition Lounge ward in the Level 5 public space. 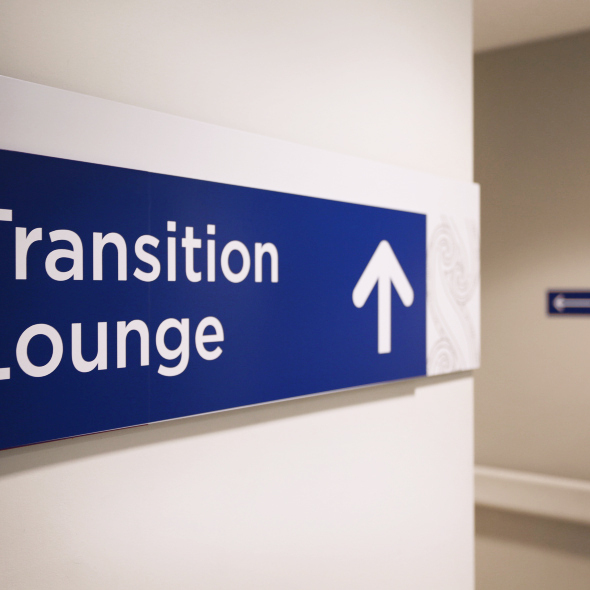 The job has been completed along side an awareness campaign for the services offered by the Transition Lounge. 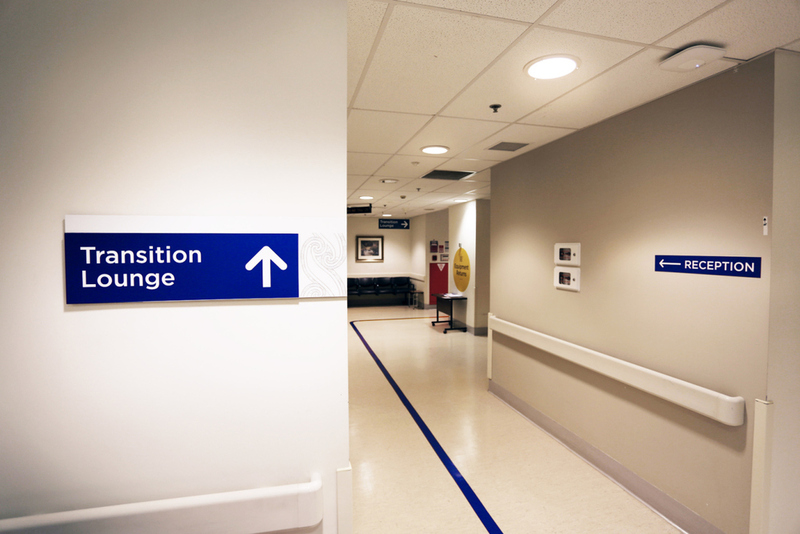 A similar exercise is currently underway with ED waiting room to communicate key information and visual cues through simple, bold colour blocking. 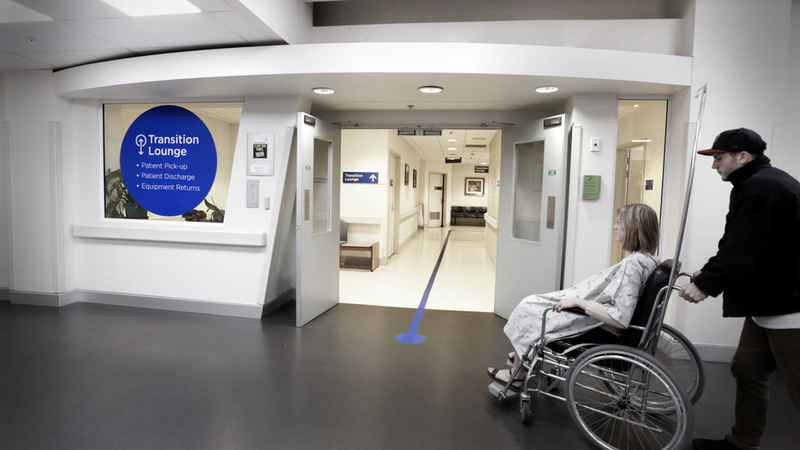 These hi-fi prototypes are ideal for testing in the hospital and contribute to a more informed approach to way finding hospital wide. 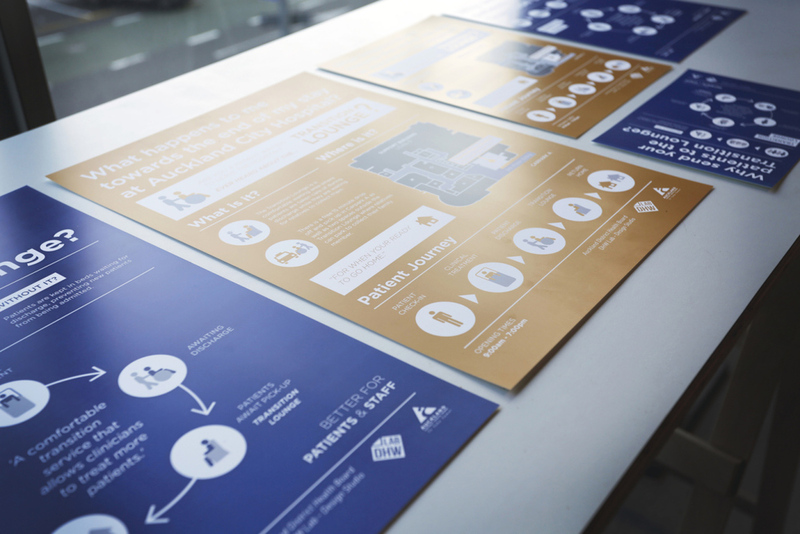 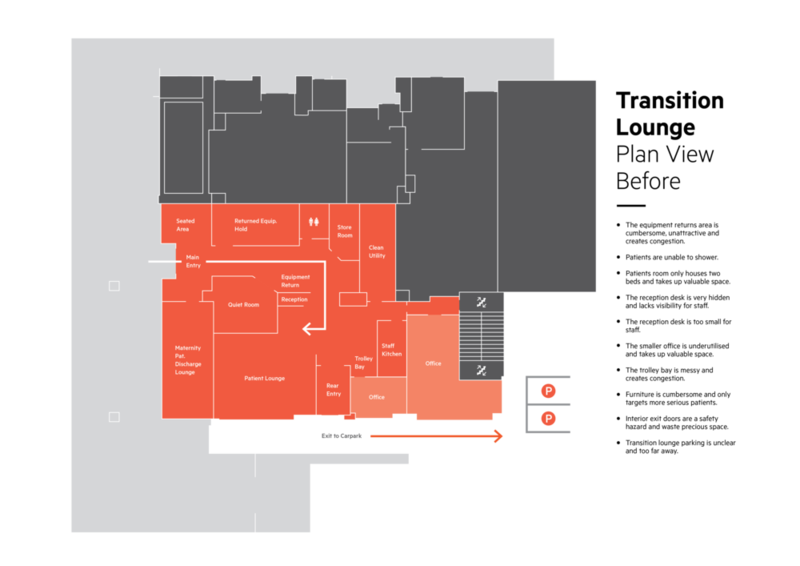 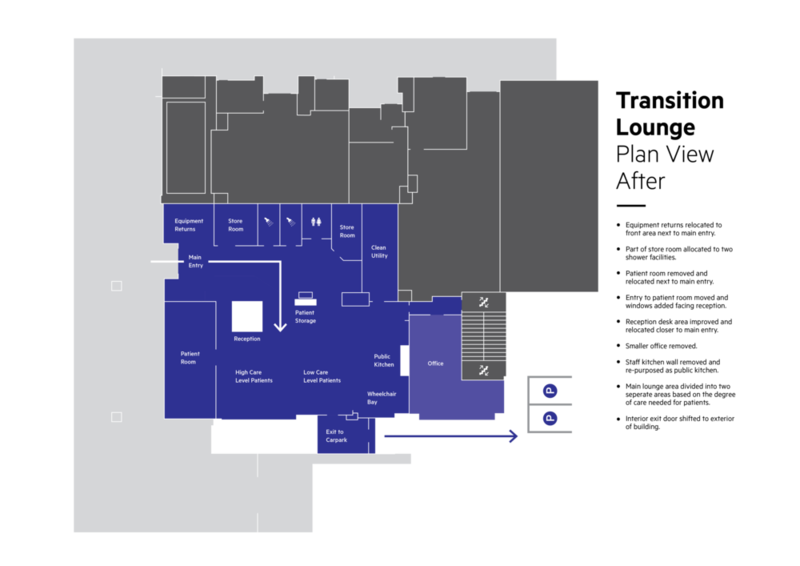 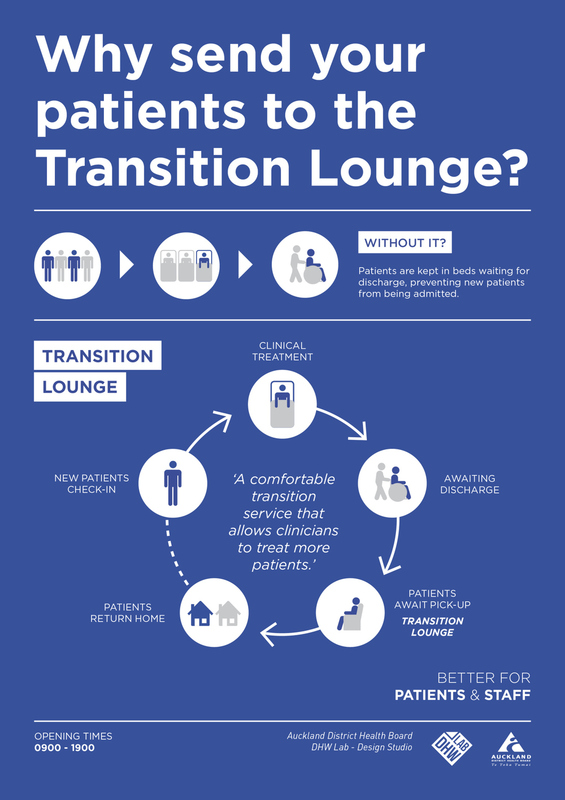 My role in the project included an audit of current Transition Lounge signage, stripping away unnecessary information and visual noise, and creating simplified graphics that give patients, families and visitors clear information in a simple and easy to understand format.